It used to be that every time I saw there was a new Conan release, I would hang my head and sigh deeply before laying my money down on the counter. It was a crapshoot, to say the least. But in the past few years in general, and this month in particular, I’ve been pleasantly surprised. 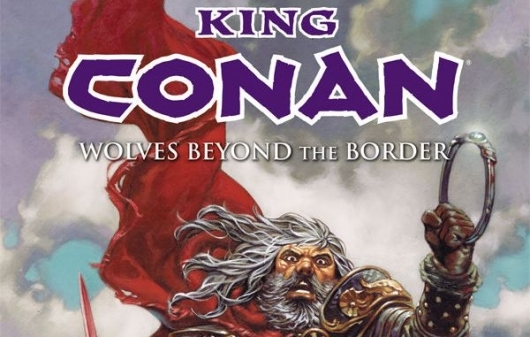 This trade paperback, King Conan: Wolves Beyond The Border, is a prime example of masterful storytelling and sequential art working in perfect harmony. Read on for more information as to why I loved it so much! Director Marcus Nispel has most undoubtedly taken on quite the challenge in the new Conan The Barbarian film. Consider to begin with, the original Robert E. Howard stories, followed by the additional work by subsequent authors over the years. Moreover, there’s the legend of Conan depicted in comics, perhaps most memorably in The Savage Sword Of Conan. But the biggest challenge facing Nispel is probably the unforgettable film version portrayed by Arnold Schwarzenegger and directed by John Milius. The 1980’s Conan pervaded mainstream pop culture and left quite an impact, and the original film is still considered by some fans with reverence. 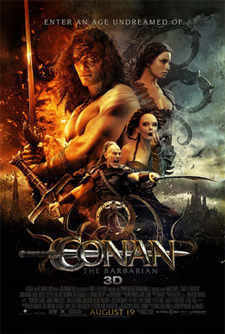 Having said all that, Nispel along with the writers of the latest Conan The Barbarian have released a film that will most likely please the fans of the Conan books and comics, but may disappoint those whose only experience with the Cimmerian warrior has been through Schwarzenegger’s depiction. The new movie, for all intents and purposes, is an origin tale and begins with narration from (believe it or not) Morgan Freeman. Conan is born on the battlefield, in a gruesome birth sequence that would easily be the fastest Caesarian procedure by sword captured on film. He is raised under the watchful eye of his father, Corin (Ron Perlman), learning the ways of the warrior and the tradition of the Cimmerian Barbarians.